Jose Mourinho has already concluded the deal to take over Manchester united from Red devils coach Louis Van Gaal in the coming summer. The deal which was concluded recently has the sought after Portuguese coach signing a 3 year deal to coach the Red Devils at old Trafford. 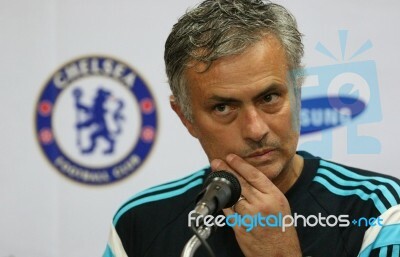 British media reported that the deal would earn the former Chelsea boss £15million each season. Its been reported that Mourinho who was sacked as Chelsea coach last December, has already started looking out for transfer targets to beef up the Manchester united squad. His interest in coaching the Red devils vhas run since the time of his rival and friend Sir Alex Ferguson. The slump of the big teams in the premier league is also bringing Pep Guardiola to Manchester city. A premier league season that has seen the big teams slump in an unprecedented manner, with Manchester United sitting 6th on the Premier league table. Football fan murders friend after argument over Lionel Messi and Christiano Ronaldo. Arsenal and Manchester city sitting 3rd and 4th respectively on the premier league table and Mourinho's former club Chelsea sitting 10th on the table, a much needed burst of life is needed to lift the top teams with only 10 games to go.